This is what the surface of a kidney stone looks like under a microscope. Imagine that scraping down your urinary canal. Kidney stones affect approximately 1 in 11 people in the United States, though 20 years ago it was only 1 in 20, a dramatic increase in the prevalence of this disease, which started going up after World War II. Our first clue as to why was published in the 70s; a striking relationship was found between stone incidence and the consumption of animal protein. But this was a population study, though—you can’t prove cause and effect. So next, researchers in Britain did an interventional study, added animal protein to their diet, like an extra can of tuna fish to their daily diet, and measured stone-forming risk factors in their urine: how much calcium they were peeing out, the concentration of oxalate and uric acid in their urine before, and after, the extra tuna. Their overall probability of forming stones increased 250% during those days they were eating that extra fish. And that so-called high animal protein diet? That was just enough to bring intake up to that of the average American. So the average American intake of meat appears to markedly increase risk of kidney stones. So what about no meat? Well even by the late 70s, we knew that the only dietary factor consistently associated with kidney stones was animal protein. And not just getting your first kidney stone. The higher the intake of animal protein, the more likely an individual is to have multiple stones, rather than just a single stone episode. Not protein in general, it seems, but specifically high in animal protein. Conversely, a diet low in animal protein may reduce the overall probability of forming stones to become very low indeed, which may explain the apparent low incidence of stones in vegetarian societies. So, it may be worthwhile advocating a more vegetarian form of diet as a means of reducing the risk. But it wasn’t until 2014 when actual vegetarians were studied in detail. Using hospital admissions data, they found that vegetarians were indeed at a lower risk of being hospitalized for kidney stones compared to those who ate meat, and among meat-eaters, increasing meat intake is associated with a higher risk of developing kidney stones, whereas a high intake of fresh fruit, fiber, and magnesium may reduce the risk. We can use this information to advise the public about prevention of kidney stone formation. What advice should we give in terms of which animal protein is the worst? Despite compelling evidence that excessive animal protein consumption enhances the risk of stone formation, the effect of different sources of animal protein had not been explored until this study was published in 2014. People who form kidney stones are commonly advised to restrict the intake of red meat to decrease stone risk, but what about chicken and fish? We didn’t know until now. Salmon and cod were compared to chicken breast meat, and burger and steak. They found that gram for gram, fish may actually be worse in terms of uric acid production. However, the overall effects were complex. Basically, stone formers should be counseled to limit the intake of all animal proteins, and not just a little bit. Only those who markedly decrease their animal protein intake may expect to benefit from dietary recommendations. Studies suggest that excessive animal protein consumption poses a risk of kidney stone formation, likely due to the acid load provided by the high content of sulfur-containing amino acids in animal protein, as I explored in my video on preventing kidney stones with diet. But what about treating kidney stones? Most stones are calcium oxalate–formed like rock candy when the urine becomes supersaturated–so doctors just assumed if they’re made out of calcium, we just have to tell people to reduce their calcium intake. So that was like the dietary gospel for kidney stone sufferers until this study was published in the New England Journal of Medicine, pitting the two diets against one another—low calcium versus low animal protein and salt. And it was the restriction of animal protein and salt that provided greater protection: cutting the risk of having another kidney stone within five years in half. What about cutting down on oxalates, which are concentrated in certain vegetables? A recent study found there was no increased risk of stone formation with higher vegetable intake. In fact, greater dietary intake of whole plant foods, fruits, and vegetables were each associated with a reduced risk independent of other known risk factors for kidney stones–meaning one may get additional benefits bulking up on plant foods, in addition to just restricting animal foods. The reason a reduction in animal protein helps is not only because it reduces the production of acids within the body. A reduction in animal protein should also limit the excretion of urate–uric acid crystals that can act as a seed to form calcium stones, or can create entire stones themselves. Uric acid stones are the second most common kidney stones after calcium. There are two ways to reduce uric acid levels in the urine: a reduction in animal protein ingestion, or drugs. And removing all meat can remove 93% of uric acid crystallization risk. Here’s the risk of crystals forming eating the standard Western diet for five days. And then, switching to a vegetarian diet leads to a 93% drop in risk within days. To minimize uric acid crystallization, the goal is to get the urine pH up to ideally as high as 6.8, so a number of alkalinizing chemicals have been developed. But we can naturally alkalize our urine up to the recommended 6.8 using purely dietary means; namely, by removing all meat, which takes someone eating the standard Western diet up from an acid 5.95 right up to the target of 6.8 eating a vegetarian diet. You can inexpensively test your own diet with a little bathroom chemistry, for not all plant foods are alkalinizing and not all animal foods are equally acidifying. A so-called LAKE score was developed, a Load of Acid to Kidney score, which takes into account both the acid load of foods and their typical serving sizes, and can be used to help people modify their diet for the prevention of both uric acid and calcium kidney stones and other diseases. This is what they found. The single most acid-producing food was fish, like tuna. Then pork, then poultry, then cheese, though milk and other dairy only rate down here; then comes beef. Eggs are actually more acidic than beef, but people tend to eat less eggs at a sitting, so they come in here. Some grains can be a little acid-forming, such as bread, rice; but not pasta, interestingly. Beans are significantly alkaline-forming, but not as much as fruits, and vegetables, the most alkaline-forming of all foods. Through dietary changes alone, we may be able to dissolve uric acid stones away completely–cure them. Now you see it, now you don’t. No drugs, no surgery, just telling them to drink more water and modify their diet, such as restricting the intake of animal protein, and the kidney stone was gone. To summarize, here are the five types of kidney stones. And the most important things we can do diet-wise are to drink 10 to 12 cups of water a day, and reduce animal protein, reduce salt, eat more vegetables, and more vegetarian. C R Tracy, S Best, A Bagrodia, J R Poindexter, B Adams-Huet, K Sakhaee, N Maalouf, C Y. C. Pak and M S. Pearle. Animal Protein and the Risk of Kidney Stones: A Comparative Metabolic Study of Animal Protein Sources. J Urol. 2014 Jul;192(1):137-41. BW Turney, PN Appleby, JM Reynard, JG Noble, TJ Key, NE Allen. Diet and risk of kidney stones in the Oxford cohort of the European Prospective Investigation into Cancer and Nutrition (EPIC). Eur J Epidemiol. 2014 May;29(5):363-9. CD Scales Jr, AC Smith, JM Hanley, CS Saigal; Urologic Diseases in America Project. Prevalence of kidney stones in the United States. Eur Urol. 2012 Jul;62(1):160-5. WG Robertson, PJ Heyburn, M Peacock, FA Hanes, R Swaminathan. The effect of high animal protein intake on the risk of calcium stone-formation in the urinary tract. Clin Sci (Lond). 1979 Sep;57(3):285-8. M Rotily, F Léonetti, C Iovanna, P Berthezene, P Dupuy, A Vazi, Y Berland. Effects of low animal protein or high-fiber diets on urine composition in calcium nephrolithiasis. Kidney Int. 2000 Mar;57(3):1115-23. WG Robertson, M Peacock, PJ Heyburn, FA Hanes, A Rutherford, H Clementson, R Swaminathan, PB Clark. Should recurrent calcium oxalate stone formers become vegetarians? Br J Urol. 1979 Dec;51(6):427-31. W.G. Robertson, M. Peacock, A. Hodgkinson. Dietary changes and the incidence of urinary calculi in the U.K. between 1958 and 1976. J Chronic Dis 32(6), 469-476. Republishing "Flashback Friday: How to Prevent and Treat Kidney Stones with Diet"
Making our urine more alkaline can help prevent the formation of kidney stones (and even dissolve uric acid stones). How can you tell the pH of your urine? See my video Testing Your Diet with Pee & Purple Cabbage. I had renal colic for 10 years. I noticed it appeared shortly after I introduced soy products (tofu, tempeh, soy milk) to my diet so I decided to cut them out and it never occurred again. A doctor told me it might have been the oxalates in soy so beware folks. I was vegetarian at the time. Im now vegan. Not all plant foods are benign and one researcher once told me soy is inherently toxic and no one should be eating it. 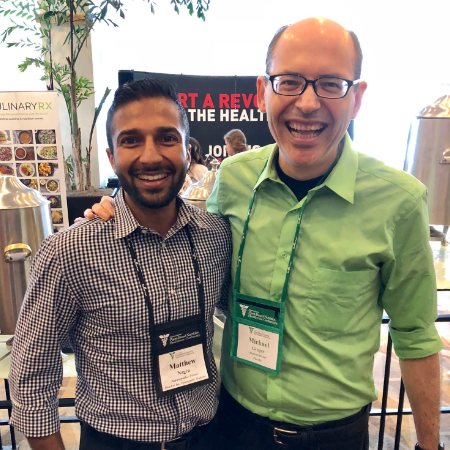 Dr Greger doesnt seem to agree but I respect his good work most of the time. Hi Tonym, thanks for sharing your experience with soy however in this below study they tested thirty commercial soy foods and the oxalate ranges of 0.02-2.06 mg oxalate/g and 0.80-18.79 mg phytate/g. Commercial soy foods contained 2-58 mg of total oxalate per serving and 76-528 mg phytate per serving. Eighteen of 19 tofu brands and two soymilk brands contained less than 10 mg oxalate per serving, defined as a low oxalate food. Soy flour, textured vegetable soy protein, vegetable soybeans, soy nuts, tempeh, and soy nut butter exhibited greater than 10 mg per serving. They concluded Soy foods containing small concentrations of oxalate and moderate concentrations of phytate may be advantageous for kidney stone patients or persons with a high risk of kidney stones. Tonym, soy may be a problem for you, there are genetic differences in how people metabolize food. But saying that soy is ‘toxic’ is, of course, not true. One of the Blue Zones, the places on earth where people are the healthiest, is Okinawa. Soy is a big part of their diet. A ‘food’ that definitely raises uric acid is fructose, as in High Fructose corn syrup. It’s also in most packaged foods, and especially in soft drinks. Fructose forms more body fat than glucose given at the same amount in the diet. In fact, the two foods that form fat mass and liver fat most easily are fructose and saturated fat. The fructose in fruit, accompanied as it is with so many nutrients isn’t generally a problem. One more reason why a Whole Food Plant Based diet is best. Soy is one of the most confusing health topics on the internet. They also need to differentiate between soy isolates in highly processed food and between whole foods and lightly processed foods like edamame, tofu, tempeh, miso, and soy milks. There are web sites on the internet, which say that all soy foods are GMO, but that is faulty information. Organic soy is found in nearly every grocery store. Most of the people around me are afraid of soy. The fear came based on things they read on the internet. Often, when I go to parties, people quote the website and say, “90% of foods with soy are GMO and it is toxic” but that information is wrong. I can’t remember which website, but I had read it myself. There is another one, which said that if it wasn’t sprouted that it is anti-nutrients. I am not sure whether Dr. Greger covered sprouted or not. If I buy tofu, I spring for the sprouted because it is there, but I eat edamame without worrying about it. Miso is one food, which seems to be allowed to put health claims on the package. That being said, the next issue is the number of servings you eat. We do not want to eat too many servings per day so that we don’t raise our IGF-1. Soy is one of the most amazing foods. Awesome for bone health and so on. I highly reccomend listening to Dr. Greger’s podcast about soy… I think it was specific to soy, but he did mention beans in general. Didn’t read all the comments, just browsing, but did want to add that edamame isn’t processed, it’s the whole young bean. And that I would love to see a video on gmo soy vs. organic or non-gmo and videos on gmos in general, like many would. Deb, you are right many people say they are afraid of soy. And organic soy products are available in most places. People are justly afraid of GMO soy. But I notice most of them eat grains that are also sprayed with glyphosate. I honestly think many are just making excuses to justify eating animal products. But soy is a complete protein. I especially like Eden Foods black soybeans. 11 grams of a complete protein per serving. Also like black soybean pasta. Edaname is good too. Just bought some organic tempeh. I don’t eat any of the fake ‘meats’. Too processed for me. So soy is what I choose instead, especially after weightlifting or a long hike. Did 10 miles on Saturday, and definitely needed some good quality protein to rebuild the muscle I tore down. Soy fit the bill, and doesn’t leave me hungry. 10 mile hikes are something I haven’t done in years. I have hiked Mt Washington and Mt Whitney and Chamonix and In Switzerland and other places. The much taller male who I was smitten with used to pick on me that I hiked slower than a grandmother, but when we reached the top of the mountain in Switzerland, I finished in the exact same time listed on the tourist brochure, but I finished. I was not in shape and infinitely preferred walking on flat ground. I used to walk 13 miles every morning. An escape for an abused child. Soothing. Black soy paste? What do you do with it? It is something I would buy and never use. Unless it would be like Miso. Then, I would like it. A lot of the pastes aren’t vegan and their ingredients are printed so small that I have gotten burned by that more than once. There is an App for that so my new phone having room for Apps might help. Deb, that’s black soybean pasta, actually looks like dark color spaghetti. Explore Cuisine is the brand, in my supermarket it’s with the other organic pastas. Organic black soy beans are the only ingredient. truRoots makes an organic red lentil pasta that is just lentils. Both have good amounts of vegan protein. I like to cook a bunch of mushrooms and veggies and with one of these pastas it’s a whole meal. I get Eden’s black soy beans, too! Awesome stuff. Whole Goods started selling a frozen organic, U.S grown edamame both shelled and unshelled varieties, and no added salt unlike other brands I’ve seen. more than 90% of all US soy is GMO but most of it is used as animal feed. Substantial amounts are also used to produce oil or are exported to China. The tempeh/tofu/soybeans sold in shops for human consumption are almost always non-GMO and say so on the label. Ironically, the people who have this strange thing about soy are probably the ones who (indirectly) eat the most GMO soy via all the dead cattle, sheep, pigs, fish [and courtesy of fast food/restaurant cooking oils] etc that they consume. People who eat WFPB diets are the only ones who can be pretty certain that they eat no GMO soy. I’d encourage people to view Dr Greger’s videos on soy if they have concerns. The idea that soy is bad for humans is untrue. It’s a legend that was created by one study in Britain that was funded by the meat industry. More than likely, your health issue resolving was just a coincidence. Avoid making decisions based upon your own experience. Rely on quality scientific evidence. Dr. Gregor is of course an outstanding source for the later. Nutrition especially is such a complex subject that discovering “what works for me” surely has some validity. Of course the more good scientific evidence you find that contradicts your experience, the more suspect your interpretation of that experience becomes. I certainly agree with that comment. No one knows one’s body better than the occupant of that body. It’s important not to use Google or NF as one’s health practitioner! There are many conditions (such as high blood pressure) and illnesses (such as cancer) that we can be unaware of until we have a stroke or advanced, possibly untreatable case. I always get an annual check-up with my primary care doc just to get my diagnostic labs done. Last year I had an optimal level of vitamin D; this year, the level was low. I had no way of knowing this besides the test. So, now I can take corrective action. I agree with that. If you read my prior post on this subject you will see that is precisely what I recommend to everyone. I would like to this to my statement. “Generally speaking…” Thanks for your response. 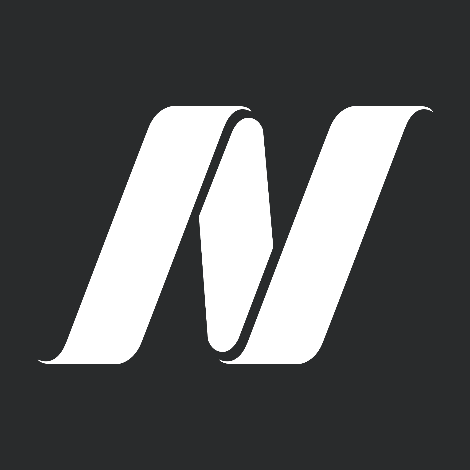 seedycharacter, you cannot compare NF, a website dedicated to publicizing the real and best available dada on nutritional science run by arguably the most well-researched M.D on the planet, to google, a search engine that brings up blogs or whatever else. Nor can you compare getting tested for what already ails you, to preventative, evidence-based medicine. For that matter, I could point out that the longest-lived societies are not the highest in doctor visits like us western type folk. I’m not knocking tests, mind you, but I am saying that using a reliable source like NF as your first go-to for health is probably the best idea there is. Tests aren’t even fully reliable… breast cancer screenings don’t spot things until already late stages and B12 tests are questionable, to name two examples. But again, incomparable. NF is an education and teaches people how to control their own health which can not only be curative in so many ways, but is ideally a means to stay healthy in the first place. And no matter what treatment for any disease, diet must be included for an optimal outcome. Everyone is different. Perhaps you have a soy allergy or some sort of oxalate issue? Most vegans I know enjoy soy with no problems whatsoever. You are an anomaly. For vegans it is not uric acid that is problem but oxalate crystals. The calcium in a vegetarian diet binds with the oxalate to remove it. Calcium is not so readily bio-available on a vegan diet. So high oxalate consumption minus milk and cheese equals high risk of oxalate based stones.I don’t care how often Greger dismisses this, the anecdotal evidence in my world is impressive. PubMed didn’t have an answer to that. The only review I saw considered vegan a fad diet where people don’t get enough micronutrients and they wouldn’t recommend vegan even if it did help with stones. I think the two middle sentences of Gillian23’s response tease out a valid question that should be explored further. I just wish G23 had phrased it as a question. The concluding sentence sounds too much like a personal grievance against Dr. Greger. Are vegans at risk for oxalate based kidney stones because of low calcium intake? I’ll bet someone could shed some non-anecdotal light on that. Thank you for your fantastic piece on kidney stone formation! I was blown out of the water at the end of it when you said the body, on the proper diet, can DISMANTLE kidney stones (made me think of how the body is able to dissolve vascular plaque). Thank you thank you thank you! Keep up the fabulous work!!! dr cobalt, it’s true that a vegan diet doesn’t provide as much calcium, but not as much is needed either. When a high acid, and high protein, diet is consumed, more calcium is excreted in the urine. People in Okinawa, for instance, who do not comsume as much calcium as the average Westerner, have much lower rates of osteoporosis. Hi, dr cobalt! 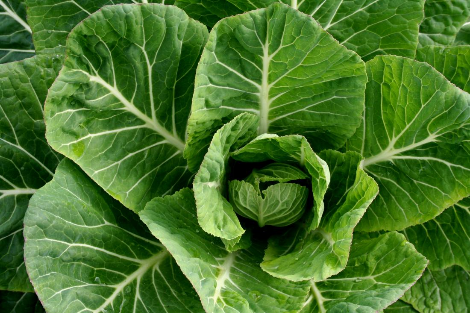 You can find everything on this site related to kidney stones here: https://nutritionfacts.org/topics/kidney-stones/ While vegans may (or may not) have lower calcium intake than omnivores, they may have greater absorption from low-oxalate greens, such as collards, kale, broccoli, bok choy, and other calcium-rich, low-oxalate plant food sources, such as figs. A key to kidney stone formation appears to be dietary renal acid load, which is generally decreased by a whole food, plant-based diet, plenty of water, and low salt intake. I hope that helps! Thanks for your contribution to this thread. Appreciate it very much. I suggest you read The China Study by Colin Campbell. It describes the most comprehensive study on nutrition ever conducted. You can also watch the video Forks Over Knives. Scientific evidence is scientific evidence whereas stories and claims are just stories and claims. The latter can be useful if you want to prop up beliefs that are refuted by credible evidence I suppose. You are right about that. Anecdotal evidence is useful for forming hypotheses, but what does the science say after that is what is important. The vegan as a fad diet was frustrating because it already started with a researcher with opinions and that is already not good science. Yes, given that the current US dietary guidelines state that a well-planned ‘vegan’ diet is healthful, it is clear that people – even academics – who make such claims are not doing so on the basis of scientific evidence but rather personal prejudice (yes, you, Harriet Hall). Tom, thanks for the link to the USDA guidelines. I read it through with some interest, realizing on the way that it was impossible to implement without knowing the “cup equivalent” for each food in a standard measuring unit. So far my search has come up empty, any suggestions? It’s all there in the guidelines themselves – but it definitely isn’t easy to find! Thanks! Even this presents only a few “examples” of cup-equivalents, what is really needed is a comprehensive list. Ironically, after saying that, I must add that if the purpose of the overall publication is to promote healthy eating, they have sabotaged themselves by making it so complicated. People are apt to throw up their hands in frustration and go back to doing what they please. Hopefully I have missed something, as I missed the cup-equivalent examples! I think the simplest thing to remember is that a ‘cup’ is essentially 8 US ounces. Of course, it gets a bit more complex if you don’t live in the US and use Imperial measures or metric instead. They do have uncomplicated one-page summaries etc available but the full guidelines are really aimed at health professionals and keenly interested laypeople. But yes, the food industries have a lot more money to spend on advertising their products and industries than the US Govt devots to promoting healthy eating. AE has some value, to be sure (assuming you agree with the Wiki redactor). Personal testimony of anonymous trolls on the internet. Worth exactly what you pay. Thank you for your contribution to the topic. Yes, anecdotal evidence has value. It might be where every hypothesis began. Like a seed. Tom, as always, thanks for sharing! I looked up vegan sources of calcium for those who do have problems and plant milks and some greens and cruciferous and some nuts and soy and beans are good sources of calcium. I looked at the list and I eat kale every day and soy every day and broccoli pretty much every day and the beans and nuts every day. I don’t feel like I am worried at all. If people have it and are vegan, maybe small changes like switching to kale from spinach and other berries from strawberries might or pairing those things with the vegan sources of calcium are what could help. Deb – I thought I’d piggyback on your comment and mention that I watched a medical-researcher presentation on Vitamin K which is found in greens. His research topic was about the fact that one can have calcium in their diet but if the K2 isn’t available as well, the calcium cannot move into the bones where it needs to store itself. So taking supplemental calcium without sufficient K2 is ineffective. And, in fact, it can be harmful as the calcium, then, which is a very hard mineral (which we can see if we look at our faucets in areas who have hard water) simply collects in our blood vessels. This is what recent researchers are now finding – one can go in and have a calcium heart scan to see if calcium is hardening their blood vessels. Of course, this isn’t a problem when one consumes green leafy vegetables – the best source for vitamin K2. The calcium will, then, store itself in the bones where it belongs. My old boss, a very big red meat eater, was hospitalized for kidney stone surgery once. They cut him open from his back to his front to get at it and his recuperation was very long and slow. Later he had terrible bouts of gout in his foot. His entire foot was swollen up to the size of a football and as reddish-purplish as a beet. He did stop drinking beer and wine – another contributor to gout – but never gave up his pork and steak. I feel for your boss. It is so hard to change habits. I am watching my brother suffering from gout. He went into the hospital and had surgery and after 4 days without food, he still had gout. He is trying to do Keto for his Diabetes and gout has become a companion. I got my other brother to eat vegan for 2 months, but he is back to meat, too. Watching both of them go through surgery a month apart is devastating. We can’t change what people eat. We can only try to inform them in a way that doesn’t turn them off. As I understand plants contain only K1, although the human body can convert K1 into MK4, one of the two best-known types of vitamin K2; the other type, MK7, which can only be made by microorganisms, is evidently the most beneficial to bone health. And as far as I know, natto is the richest source on earth of K2 plus the benefits of eating (soy) beans. I take a portion every day of this slimy stuff as a preventive measure against osteoporosis. Anyone else? Surprised that it is never mentioned on (the superb) nutritionfacts. I wonder what Dr Greger thinks about it. Hi Rachel, thanks for your comment. In this study it indicates that vitamin K2 is associated with the inhibition of arterial calcification and arterial stiffening. An adequate intake of vitamin K2 has been shown to lower the risk of vascular damage because it activates matrix GLA protein (MGP), which inhibits the deposits of calcium on the walls. Vitamin K, particularly as vitamin K2, is nearly nonexistent in junk food, with little being consumed even in a healthy Western diet. Vitamin K deficiency results in inadequate activation of MGP, which greatly impairs the process of calcium removal and increases the risk of calcification of the blood vessels. An increased intake of vitamin K2 could be a means of lowering calcium-associated health risks. That paper you cited relied entirely on two observational studies from a single country for the statement that dietary k2 is associated with reduced CVD risk. Jack Norris wrote an article on Vitamin K 5 years ago. I believe it is still an accurate summary of the evidence. I do however take a D3/K2 supplement myself ………..
Tom, thanks for posting the Norris article. I take K2 along with D3 also. Osteoporosis runs in my family. Great article, Tom! Very helpful. So the evidence on vitamin K2 intake and heart disease is extremely limited and hasn’t been replicated and the function of it is theoretical, so why all the attention? Also, if we make enough K2 in the intestines, wouldn’t that be enough in healthy individuals if K2 did play a role in arterial function? Plus, we’re able to convert K1 into K2: https://www.vitamindcouncil.org/dr-cannell-on-vitamin-k2/ So then, could the issue have been those in the Netherlands simply weren’t eating enough K1 rich foods, so naturally supplementation with K2 would have assisted them? I should have said arterial health, not function. Off the top of my head, I’d guess it gets down to what people in the Netherlands were eating instead of the K2 containing foods. If it was white bread, pastries, pizza, pasta, fried potatoes, doughnuts and canned/packaged foods etc, then the results wouldn’t be surprising. So, I’d suspect that you right – they were probably eating too little fruit and veg and too much processed or fried food. That’s what the standard Western diet is about after all – it isn’t just a US problem. To my mind, calcium supplementation is dangerous. Supplementation isn’t even metabolized naturally and due to the data, the majority reccomend people get their calcium from diet. I just watched the second video to that, turns out not only dangerous, but also calcium supplements are ineffective. Great videos, I reccomend everyone watch them who hasn’t, and share… everyone should know this stuff, it’s so important. That was an interesting review of the topic. For people who are afraid of it, spinach was the only source of oxalates, which people ate enough of to make a difference. So the two modestly, possibly at risk groups – males and older women – might have to eat more foods with calcium or magnesium or eat less spinach. Foods high in magnesium would be beans, avocado, summer squash, potatoes, dark leafy greens (kale, beet greens, swiss chard, parsley, turnip) bananas, mangos, and nuts. Gillian23 states: “For vegans it is not uric acid that is problem…”, however NUTRITIONAL YEAST contains 1810 mg of total purines per 100 g, more than three times as much as fish. Nooch has, in fact, the highest purine level of any food I could find. I now limit myself to a 1 Tbsp/day. In years past I consumed many times this amount, and developed gout symptoms, another serious pathology resulting from high uric acid levels. I have eaten very large amounts of nutritional yeast regularly for years and have never experienced anything negative or indicative of high uric acid levels. In fact, I actually read (from a veterinarian) that nutritional yeast if eaten regularly has the potential to over-alkalize a cat which is dangerous to their kidneys as they require a more acidic environment. This was when I was looking up vegan diets for cats and concluded it’s too dangerous for them unlike dogs. Of course I’m regards to nutritional yeast, I’d look that up to be sure because I don’t have the source or any evidence to link. It could be like cinnamon (I think it was cinnamon) where despite its contents it didn’t seem to matter how much you had whereas Dr. Greger reccomended in that same video to not exceed a certain amount (I think it was a tsp) of turmeric a day if prone to kidney stones. I tried looking it up and I’m not finding any evidence that nutritional yeast is acidic to us, but found some sources saying it’s an alkaline food. Dr. Greger has a gout blog. He said that most plant sources of purines are protective, but that if people have problems with gout, they might limit yeast consumption. Thanks for sharing, Deb! I was not aware of that. Good video, thanks Barb! So turmeric is actually beneficial in preventing gall stones due to inducing gall bladder construction, but that same construction would be painful for those with a biliary tract obstruction. Gillian, evidence please? Because I could disprove or at least neutralize your argument by countering in saying that the anectdotal evidence in my personal experience and the many I’ve talked to and those I know is completely and profoundly contrary to your claim. Thus the importance of actual evidence which Dr. Greger provides. For ‘dismisses’ read ‘cites evidence to the contrary’. This sort of misrepresentation of what’s actually happening seems to be common in discussions about nutrition. The depiction of all the scientific evidence about the adverse effects of high saturated fat consumption as mere ‘vilification’ springs to mind for example. Then there was the infamous ‘meat defamaation’ trial. If you can’t refute the science, resort to rhetoric to try to win the public debate and influence people dietary choices? I would be interested in seeing a large sample of blood and urine tests by those who go to the E.R. for kidney stones. I am sure there are consistent markers in the blood and urine that would give better insight to what is contributing to the formation of stones. It always seems that when we go to extremes either in diet or exercise, problems occur. Individuals should find a healthy balance without going over the top. Jack, what “healthy balance?” A healthy balance between eating the disease preventing diets that go along with our natural physiology and a disease promoting diet which goes against our natural physiology? That’s not a balance, that’s an attempt to try to justify eating crap that harms us. Eating plants isn’t extreme, it’s just extremely healthy and natural for us. What on Earth makes you think that there isn’t already a substantial body of research showing how the stones are formed? They actually do chemical analyses of the stones themselves for one thing. Jack, I can say this: if I had to deal with recurrent kidney stones, just the “anecdotal” evidence shared in this forum and elsewhere would give me impetus to at least give a change in diet a shot… even an extreme regimen. It appears that Dr. G. used 16 sources to make this video. Ask yourself if they seem authoritative. Then the next step is to look up those sources individually and read at least the abstract, maybe skim the article, and … yes, check out that writer’s bibliography. When you’re done with all that you are in a position to personally decide if the information predicated on those sources is authoritative. Speaking for myself, I don’t have the need, desire, or interest to pursue a rigorous investigation on this topic. So, while I do occasionally delve into the bibliography to research more, most of the time I take Dr. G at his word. M D Sorensen, R S Hsi, T Chi, N Shara, J Wactawski-Wende, A J Kahn, H Wang, L Hou, M L Stoller; Women’s Health Initiative Writing Group. Dietary intake of fiber, fruit and vegetables decreases the risk of incident kidney stones in women: a Women’s Health Initiative report. J Urol. 2014 Dec;192(6):1694-9. doi: 10.1016/j.juro.2014.05.086. D A Bushinsky. Recurrent hypercalciuric nephrolithiasis–does diet help? N Engl J Med. 2002 Jan 10;346(2):124-5. That’s exactly why I take Dr. Greger at his word, because he’s proven since the beginning that he’s evidence-based and has demonstrated how careful he is to check the validity of a study. He’s so transparent about the science that he himself teaches you NOT to take his word or anyone else’s but to look at the evidence which he always presents in his writings and videos. And what’s more is he actually teaches how to recognize a good or bad or subpar study. And because I’m not an M.D and am not trained to interpret scientific literature, and because I don’t have access to all scientific literature, and because as much as I love learning I could not stand dedicating my life to constant research like he amazingly does, I am freaking GRATEFUL for having a Dr. Greger in this world. I realize the chart of acid-producing food is quite simplified. I wonder if there are significant differences in types of fish, or differences between white, brown, red, and black rice? I also seem to recall that taking a small amount of vinegar was recommended to mitigate the effect of carbs on glucose levels. In that case I would suppose you have to choose your dietary priority based on your level of individual risk? Michael, here is an acid-alkaline food chart. Notice different types of vinegar vary a lot in how much acid effect they have on the body. The type of vinegar most recommended for glucose control is Apple Cider Vinegar. Note that it is on the alkaline side of the chart. Foods people think of as acidic, such as citrus for example, often have an alkalyzing effect when consumed. Thanks! I wonder if the various vinegars in the illustration were “normalized” at 5% acetic acid? I would suspect not, as that would help explain the huge variation in pH. It seems the more you dig, the more complicated nutrition gets. I am discovering that as a “rule of thumb”, the more I like a food, the worse it is for me (semi-serious joke)! Luckily for me food is mostly a means to an end, not a big focus. I ended up looking at a few of the acid/alkaline food charts, but they were ridiculous. It quickly became not a good way to look at things, though if people are drinking acidic drinks, yes, stopping is a good idea. But foods like walnuts and barley ended up in the foods to “eat less of” category. Deb, some people have to pay attention to acid-alkaline balance. Kidney disease patients, and diabetics for example. Unless a diabetic keeps blood sugars totally under control they are damaging their kidneys. And just keeping HgA1c sort of normal doesn’t count. That’s an average value. If they let blood glucose go high, then take it down low, they can get near normal numbers. Doctor says ‘great’! But all the time blood glucose is high they are damaging their kidneys. Besides what matters is the acid-alkaline balance of the whole meal. So if you, for instance, eat barley or walnuts, then add a number of alkaline vegetables or fruit to balance that. You’ll note all beans are also high acid. It’s not just animal products. It’s any protein food. Dear god there is so much evidence as to why we should be eating plant based diets and that we are clearly not meant to consume animals and their parts, it’s insane that most of the world continues to eat and teach an unnatural omnivorous diet! It’s to the point where it’s like… joe says “ ok what evidence is there that we shouldn’t eat animals and eat plant based?” person b says “ok, what category of evidence would you like? Kidney stones, heart disease, cancer, diabetes, oral health, bone health, skin quality, eye health, brain health, etc…. ?” Where to even begin becomes the question. An anecdote: Before I met him 11 years ago, my husband suffered from what he called bladder stones, passing one every few years. In fact, on one of our early dates, he was passing one (I did wonder why he had to use the toilet so often; he explained why later). And he ate SAD (Standard American Diet). But, since he started to eat my vegetarian cooking, and more recently plant based whole foods cooking, he hasn’t suffered one since. And I’m pretty sure that he doesn’t drink enough fluid — I call him a gerbil — which is one reason we eat a lot of soups. So it could be diet alone preventing stone formation. Now, how can I successfully encourage him to drink more fluid? Passing a kidney stone on a date… he must have really liked you to not cancel the date! That’s an amusing story, apart from his pain of course. Is he one of those people that dislikes water? If that’s the case, he might enjoy cold brewed teas and herbal teas. I always keep some in the fridge. In addition, you could also show him some of the videos on the benefits of green and herbal teas which might inspire him to drink more for those reasons. In 1972, I went to Israel and got my first kidney stone. When I came home, I continued to get kidney stones once a year for the next 10 years. The doctors in those days told me to drink more water. Which I did. But I kept getting kidney stones once a year. During those years I was eating the typical american diet. About 10 years after getting my first stone, my company sent a bunch of us to Weight Watchers to lose weight. At that time I was about 30 lbs over weight. I lost the 30 lbs while going to weight watchers. At that point in time, I was laid off from my job. Not wanting to be on weight watchers the rest of my life,I went to the local bookstore to see what diet was close to the weight watchers diet I was on. The books that were close to the food I was eating were all vegan cook books. I then went on a low fat, high fiber vegan diet. Since that time when I changed my diet to be a healthy vegan, I have never had a kidney stone again. Even on days when I don’t drink a lot of water. A straight endocrinologist told me that taking B6 (but no more than 50ng/day) and magnesium breaks up kidney stones. From this study: Biodegradation of oxalic acid from spinach using cereal radicles. Would malted rye work to reduce oxalates from pseudocereals? I like injera bread but ever since i got back pain soon after eating it I’ve stopped. I would like to eat it again. Amaranth may become more popular too. I can’t answer your question, but I was fascinated that lowering the PH got rid of the oxylates of the spinach. I wonder if people could soak it in Kangen water’s acidic water setting for a half hour. The temperature thing was interesting, too. So the oxylates degrade by PH and temperature? I don’t fully understand whether a person could hack it. The article talks about sprouting cereals and adding the reticle (some part of the seed that releases oxalate oxidase enzyme when sprouting) to blanched spinach i think for two hours. They tested at various ph levels and temperature. Malting a grain is germinating and heat drying it. Rye worked best. I asked if malted rye would work. After thinking about it a malt extract from rye would be more convenient for home users. Barley, spelt and wheat worked too but not as well as rye. I would ask whether sprouting other seeds would work too but perhaps it doesn’t. I have a hunch that seeds from the mustard family might work too but it’s pure speculation. Counter-intuitively, these videos actually gain power from the extra editorial “machining” he gives them. As Pascal once put it, when people asked why his letters were so lengthy, “I did not have time to write less”. Good editing for clarity always takes time and effort. I’m very suspicious of the ‘reduce salt’ suggestion. Most of the medical/doctor/drug recommendations for reduction of salt have been based on bad science. And it’s pretty clear that the body handles high salt levels much better than it does low levels. Every doctor says reduce salt as a reflex. Without checking the patient’s numbers. Yes, it reduces blood pressure a small amount. But being low on salt can kill. Reducing salt is a knee-jerk recommendation. Thanks, Dr. Greger and team, for all you do. Recommendation to reduce salt (actually sodium) intake are based on solid science. Opinions to the contrary largely appear to come from people advocating consumption of high sodium foods like dairy, meat and processed/canned foods generally. There is enough salt in your food naturally without pouring it on your food. Many foods are naturally high in salt. If you want to destroy your kidneys and risk the ancillary effects on your pulmonary vascular system, just pile it on. Humans evolved without table salt. We don’t need to add salt to anything. Mr. Fumblefingers is correct. If you stop using it, after a while you will discover that you don’t actually need it at all. It’s a lot like switching from dairy milk to almond milk. Well the evidence that exists on salt is readily available, but it’s an overstatement to imply that adding salt would “destroy our kidneys” in persons with healthy kidneys because our bodies actually are pretty amazing at regulating our electrolyte balance. Our bodies are smart. I add some natural salt myself but in moderation of course. It’s also always paired with high antioxidant foods simply because that’s my diet which similarly to miso I would imagine negates anything well, negative. Of course I’m just coming to my own conclusion about that based on the miso study and the vitamin c study. Still, it’s just common sense not to overdo salt if you use it. I personally think in regards to salt the problem is the saturation of it in the western diet as well as being paired with the western diet. I also personally suspect natural salts are better dealt with by our kidneys than adulterated and refined table salt. I agree with you. But as you may know, sea salt is mostly contaminated with micro plastic beads. So I would avoid that for sure. I view salt like radiation. There is no safe dose. Just me. Did not know that about sea salt, our oceans are so horribly polluted so I don’t find it extraordinarily hard to believe, but do you have any sources? Glad to say I stick to himalayan salt, though. No sources. I avoid salt and only add a small amount to recipes that call for it. Himalayan salt sounds interesting. I had a rather attractive pink Himalayan salt desk lamp at one time, it gave a very pleasant light but I was never tempted to eat it. mlarsne, I have a beautiful pyramid himalayan salt lamp, too! It does emit a very soothing, beautiful light! I heard those claims as well… ions and all that. Sounds really cool, would be nice if there were validity to it but I’m not aware of any actual science on it. I’m not tempted to eat my lamp, either, lol. Thanks for the source on plastic contamination… our poor planet. I’m not one who boasts benefits of himalayan salt, I choose it because of its purity over sea salt and table salt. The color is from minerals from my understanding. This site seems to go further than just pointing out that claims of benefits over himalayan salt or other natural salts are not evidence-based but seems to be doing the opposite in demonizing it. Bottom line, I enjoy salting some food and feel better when I do as opposed to when I’ve gone salt free for extended periods (my personal experience, no recommendation hidden anywhere in there). I’ve been using himalayan salt for years and I’m extremely healthy from vitals to not even needing deodorant after years of a vegan, whole foods plant based orientated diet. I’m not going to put adulterated salt that’s been bleached and blended with anti-caking agents and whatever else, in my body. The world is not a perfect environment, so I’m going to do my best and not harm myself over stressing because nothing is perfect. I will neither boast benefits of salt nor demonize it in moderation but I trust nature–unavoidable contaminants and all–over adulterated products by man. Our planet is so polluted with plastic, where else is it lingering? Things just need to change. Totally agree, Shaylen. America’s priorities are not in favor of health and happiness. Thanks, Roger. Agreed, the world’s priorities are completely warped. Were you overly hydrated, or have kidney issues? I don’t have kidney issues and drink 8 glasses of water per day but ended up in the ER and diagnosed with hyponatremia earlier this month. My sodium blood levels were a little low end of January but doctor’s office said nothing to worry about. I am not one that can leave off salt intake and just get it out of plants. It makes me dehydrated and blood pressure goes up and other unpleasant things happen. However, there is apprently high individual variability in the need for sodium. Nevetheless, most scientiists unconnected with the food industries seem to agree that on eaverage people in Western societies consume far too much sodium. All I know is, after doing a battery of test while I was “out” for three hours in the ER (although I’m told I flirted with the docs and could tell them who was the current president), a blood test showed that my sodium level — which supposedly should have been between 136-145– had plunged down to 123. So they hooked me up to a saline solution and I stayed overnight in the hospital — two nights, actually. I had always heard that to avoid HBP, one should cut waaaaaaay back on the salt and drink plenty of water — especially during the hot summer months. Which I did. Never salted anything, never ate processed foods…just put lemon juice on things. My electrolyte numbers had not been where they should have been. It’s said that some (unusual?) people do seem to need more salt/sodium in their diets. So I don’t worry about things like miso, celery, salted peanut butter, etc. And I do ration my daily water intake. No health problems at this time. There are a lot of reasons for hyponatremia. I know people who eat only raw vegetables and fruits they grow themselves who have never had a sodium deficiency. And fruitarians as well seem to have no salt problem. I am not an MD but your situations sounds like an aberration. I would certainly look for other issues if I were you. Sounds like you have investigated pretty thorough, but I wouldn’t stop till I got to the bottom of it. My son is an MD and I can tell you that doctors receive very little if any nutritional education in med school. Thanks for your concern. We had been going through a heat wave that summer, but I always sally forth for a long walk no matter what the weather. Which is what I did that morning. I knew zilch about keeping the electrolytes in a proper ratio, so I did a LOT of water guzzling. In my case it was determined that I should not have been depriving myself of salty foods and also should not have taken in so much water. You must be very proud of your son the doctor, but I try to avoid those…..people. :-) I also take no prescription drugs. Those you know who eat nothing but raw fruits and vegetables (how long could somebody stand a boring diet like that?) probably feel no need to even drink water. Same with the fruitarians. Some pundits advise us to drink only when we’re thirsty. What about soft drinks? I suspect that a diet high in meat and soft drinks and low in vegetables would be the worst possible setup for kidney stones. I know the people who follow Dr. Greger don’t even consider things like soft drinks, sports deinks and weird beverage flavorers like Crystal Light to be foods but those are the main sources of fluid for many Americans. Omg I remember those days when pop was my beverage of choice… I remember not even enjoying certain foods if they weren’t paired with pop. I weaned myself by switching to IZZE sparkling fruit juice and eventually water became acceptable and preferable with meals. So gross were those days! I used to start drinking soda at breakfast for decades. In high school, it was my breakfast. In college, sometimes coffee, but I drank so much soda. I just found out that my sister-in-law’s mother has kidney cancer. She isn’t someone who changes her behaviors. She won’t do WFPB and I don’t think she will do Keto either. The only thing I can think of is getting her in an immunotherapy study and maybe PEMF. Thinking of giving her my Micropulse ICES and buying another one. Not sure she would try it, but I feel like I want to offer. Sorry to hear that, Deb. Given that she sadly has cancer and there is plenty of evidence available to her with your knowledge on this stuff if she’s willing to hear about it, you’d think she’d at least be open to making her diet significantly more centered around whole plant foods and eating less animal products and processed foods. Best of luck! Thank you for point out that Americans in general do still consume soft drinks and “wierd” beverages which can certainly contribute to all sorts of health problems even if they are not specifically cited. I once posted how I panicked when I saw a strange-looking thing in the toilet bowl, thinking I had developed god-knows-what. It turned out to be one of those numbered labels that we see slapped on fruits or veggies, signifying whether it’s “regular” or organic. That is hilarious, YR… Peel the stickers off! LOL …So was it organic? Wish I could remember, S. I was just happy to see a number at all! So, do they put organic stickers on organic vegetables? They do usually pass on their own, is what they say. They usually have the patients drink a lot of fluid for a few weeks to see if it passes. Mentally, I have an expandable sink strainer, but it is not going in my toilet. Ever. Deb – “I have an expandable sink strainer, but it is not going in my toilet.” …. I think sanitation-wise, toilets have really gotten a bum rap, however you’d probably be happier with an expendable sink strainer! Yes, better to not eat too much spinach and never get them. I am a significant calcium oxalate stone former. In fact I lost a kidney to a lithotripsy procedure that went bad 6 years ago. I have continued to make stones in my one good kidney. 5 years ago I switched to a 100% plant based diet. Still I make stones. I drink lots of water and take potassium citrate tabs. Still I make stones. Most recently I altered my diet to be low oxalate, hoping this would help stop stone formation. Problem: vegetables, especially dark green leafy veggies, nuts and beans are nearly all high in oxalates. While animal meat is very low. I will never go back to an animal diet. The result is my diet is extremely limited by being vegan and low oxalate. I eat a lot of fruit since it is mostly low oxalate. But nuts and a lot of veggies are out. I am looking forward to my next scan to see if the low oxalate diet has helped slow down stone formation. Even if you found out it would be the only way to save your life? You, as a human animal, is not as important as the life of a farm animal? Thanks for the response. My answer is a question. Since we will all die, what evil do I choose to die from? I am on a low oxalate diet and still vegan. It is just more difficult. My diet is the best of all worlds, just inconvenient. I would sooner eat mud than eat animals, ever. I have two reasons for being vegan, in no particular order. First, I am an animal rights activist. I will never again contribute to the brutal suffering of animals for any reason whatsoever. I have no wool, no down and no leather in my home or on my person. Second, I have a history of stroke in my family and a part of my decision to go plant based is the result of mountains of conclusive scientific investigation regarding my likelihood of a stroke event being greatly lessened as a vegan. Ancillary that is, I am not a “foodie”. I have always viewed eating as an inconvenience than an opportunity. I view food as simply fuel. Thanks again for your inquiry. I hope I made myself clear. BTW, I have had several full body scans over the last 10 years. The first showed some plaque beginning to form in my ascending aorta. After 3 years as a vegetarian and then 6 years as a vegan, the plaque has not progressed at all. That’s great news. Roger, I love you… I’d give the same answer. I also can’t stop myself from pointing that “even if animal foods would save your life” is a bit of an oxymoron. So yeah meat vs. famine, you’ll live longer (unless the meat you ate gave you a bacterial infection perhaps… or you choked, haha, sorry, had to) but odds are a diet focused on animal products are gonna eventually play a role in whatever kills you. Just a few thoughts as I’m uncomfortable having you wait for a scan. You might consider first morning urine collection in a clear glass container to do your own studies. Let the sample sit and check for how much sediment is present, after a while (30min- 1hr). You can track your prior days food intake and make some calculations as to the best approach based on the amount of sediment present. You might find that there is some assistance with using supplemental forms of calcium as part of your daily regime and or modifying your diet, even if non-vegan to balance the intake. Please see your physician and have a discussion. Keep up the water and find the ideal combination of diet and supplements that works for your body. Thank you for your thoughtful reply Dr. Kadish. I am under the care of a nephrologist, urologist and endocrinologist. They are amazing professionals and I trust their judgement completely. I am on this situation 24/7. Trust me the last thing I want is to damage my remaining one kidney. I like your idea very much and will absolutely do the visual. Also, your comment gave me the idea of getting some ph strips and testing for acidity in my urine. However, I will eat dirt before I eat animals ever again. No exaggeration. Since my last lithotripsy procedure I have been back to urologist several times for recurring UTI. Just finished last dose of antibiotic. Hopefully it will be gone. So I have been having my urine tested on a regular basis. I do ultrasounds every six months. Thanks again for you insight and concern. Any more suggestions are appreciated. Well, Roger, you certainly look healthy in your mug shot. How long ago was it taken? Haha! Thank you. It’s maybe 1 year ago. I am healthy actually. I work hard at it. I will be 71 years May 7th. I go to the gym 5 days per week and my vegan diet keeps me well tuned up mentally. My only concern is this kidney issue. It may be the one that gets me in the end but I hope not for a long time. My husband was a stubborn, determined Taurus too. Keep plodding…you’ll probably succeed eventually. Haha! Hope so. Thank you. You look at least 10 years younger. Keep up the good work and good luck! Awe, thank you. Best of luck to you as well. How do you recommend integrating your eating plan with intermittent fasting for autophagy? Thanks for the response Phil. I have to say that I do not fast. I never have. I have heard various reports about the benefits and the risks. I am the wrong person to ask about that. I don’t believe in “cleanses” either. My impression is it’s a bit hocus pocus. Then again, what do I know? There are many people who believe strongly that fasting is beneficial. Serrapeptase and PEMF have anecdotal evidence. I didn’t search PubMed because I am on my phone and don’t have WiFi nor unlimited data. Are you eating foods with magnesium? I am not a medical person nor a foodie, plus I have a brain problem, so I don’t want you to just try things without researching on your own. I respect the animal rights position. I haven’t eaten meat since the year of the Rodney King verdict. I got sick on it for 7 weeks and never wanted it again. Honestly, I think I would feel like a murderer now if I ate it, but I don’t feel that way about the people around me who do eat it. I don’t have wool because I am allergic and I was always allergic to down, but I don’t think I mind making yarn out of wool if it is a small farm. I don’t want animals being abused, but I am not against sheep being sheared if the animals aren’t mistreated. Thanks Deb. There is no such thing as humane wool shearing. Check out the PETA web site and learn how these gentle animals are horribly brutalized. You will be dramatically healthier since yo don’t eat meat. what’s your stand on dairy? I agree with you. Slaughter is in fact murder. I can’t stand the sight of someone eating animals and a trip to the grocery store is full of horrors for me. Correct, wool is a truly horrific industry whether from a family farm or otherwise. When you begin to look behind the veil of what we assume and are even taught about these things, you quickly realize that when an animal is being farmed for anything, the animals undergo tortures you’d never imagine on your own. Sorry I can’t offer any insight, either. I had to look up “autophagy” as the first image that came to my mind was people eating automobiles – which would obviously be very car-cinogenic, even if you could af ford it. So now that I know what it really means, it may come in hundai some day. Some of us are criminals! So do they call the people who double check if things are word plays Chinese checkers? Uh oh, Dr Greger had better watch out with his Chinese version of HNTD. Funny, and sadly, quite true. The Chinese government is absolutely horrible. I have been trying to find where the LAKE score for individual foods is published. Can someone please direct me to where I can find that information, if it exists? Thank you! The study from the video which references LAKE scores is in the link below. I am unable to, however, find a comprehensive list of all foods. Hello Leslie. Many thanks for your comment. Whey is derived from milk, its powder is extremely popular due to its high digestibility and well-researched muscle-supporting benefits. I wouldn’t say that’s is good or bad for you, it’s just that whey protein is useful is for hitting daily protein goals, for example when you’re training resistance exercise and your protein requirements are higher. Whey protein has a good evidence in regards of helping to increase muscle protein synthesis. Janeth, the destructiveness of casein is well documented. Milk protein increases the incidence of prostate cancer, creates calcium deficiency in bones, causes acne, ovarian cancer, etc, etc. It’s a long list. Who decided that humans should consume the mammary excretions of another species? Big business decided. Promoting any kind of milk product, including whey, is irresponsible and goes against a mountain of scientific evidence. There are a variety of other options available for athletes wishing to add muscle that do no harm to one’s health. Also, this fixation in America about consuming large amounts of protein is a myth has been created by Big AG to help the dairy industry. Most Americans consume at least 2 X the the amount of protein necessary for healthy living. Humans need less protein, not more. Roger, I don’t disagree with your points, but there’s more to it. Many people, especially women, want more protein to transition away from meat and to satisfy hunger while losing weight. Whey works. Eating veggies is great, but many of us will overeat and fail to lose weight on grains and legumes. Maybe eventually that would stop, but whey can be a link in the process. Plant based protein powder is readily available if one wants protein. Too much protein is destructive, particularly to kidney health. And the fact is that green plants contain as much or more protein than lean meat. At the end of the day its about caloric intake if one wants to control weight. A whole food plant diet combined with a sensible exercise program will do the trick and women will be healthier for it. Milk products create an acidic environment and results in actually leaching calcium from bones. Milk, it does a body bad.